Okay, I’m no high fantasy fiction fan. I haven’t even read Harry Potter completely. 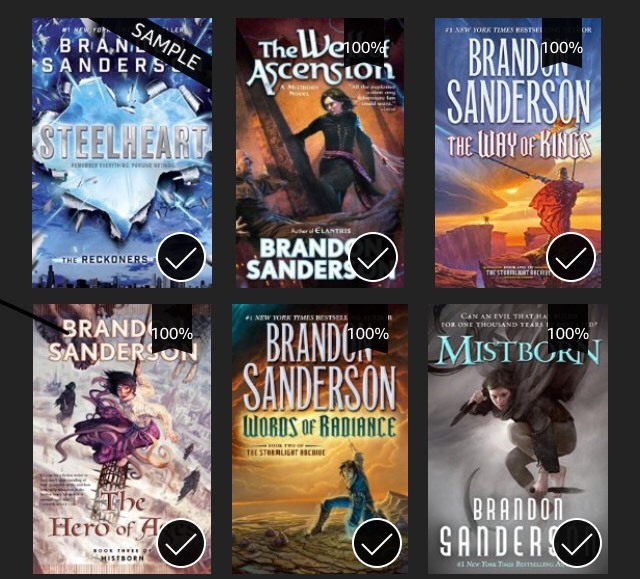 But as soon as I read the first few pages of Brandon Sanderson’s books, The Way of Kings and Mistborn, I was hooked. Who wouldn’t? It’s crazy that anyone can through adolescence and adulthood without an experience of Sanderson’s well-crafted worlds. Not a fan of magic or special powers? Then you might not be able to put down Sanderson’s books for its characters. His books are long, granted. But that’s a forgettable fact. I struggle to finish thick books but Sanderson’s series of novels demand completion. You want to know who had done it, why, and what happens next. Above all else, Sanderson knows how to create compelling characters. Especially, female characters. Shallan is an artistic, witty, and pretty noble woman who had a dark past and a huge part to play in the end of the world. Jasnah, the one who took Shallan as her apprentice, is a strong, scholarly, and beautiful princess of a massive kingdom. Both women are important characters with amazing powers granted by their sprens (like guardian angels) in The Stormlight Archives. Vin, meanwhile, is the lead female character in Mistborn. She has the unique ability to control people’s emotions and she calls this power ‘luck’. Eventually, she’ll discover that she could jump high and great distances by ingesting and burning various types of metals. These awesome abilities should have made Vin the perfect hero but her horrifying past gets in the way: she’s mistrustful, insecure, and like most teenagers, subject to mood swings. A word to capture Sanderson’s characterization? Refreshing. You could buy a copy of each via Kindle starting at $7. Neil, however, wanted to get a hold of the hard copy so he also bought paper back editions of The Stormlight Archives. I see no reason for you to linger here. Go download the books and start devouring chapters of Sanderson’s brilliance. For such a prolific writer, you might not be able to keep up with the fantastic books he churns out every year. So read up. P.S. I’d like to thank Neil for the nudge to try High Fantasy again. This time, I really fell hard for the author he recommended. P.P.S. You’re still reading? Go download the books. 🙂 You’d wonder why people still hang out at Facebook with so many Sanderson books up for grabs.